There is a strong case for saying that Palestine is a lost cause. And it, the case, can be summarised as follows. * The nuclear-armed Zionist (not Jewish) state of Israel is the regional superpower and not remotely interested in peace on terms the Palestinians could accept. The vast majority of its Jews have been brainwashed by Zionist propaganda and as a consequence are not open to rational and reasoned discussion about justice for the Palestinians. And that leaves Israel’s leaders free to continue the policy of taking (stealing) for keeps the maximum amount of Palestinian land with the minimum number of Arabs on it. * As things are the major world powers are not going to use the leverage they have to cause (or try to cause) Israel to end its defiance of international law and denial of justice for the Palestinians. * The regimes of a corrupt, authoritarian and divided Arab Order have no interest in any kind of confrontation with Israel; and they do not have the will to use the leverage they have to press the major powers, the one in Washington D.C. especially, to oblige Israel to be serious about peace on the basis of justice for the Palestinians and security for all. * The occupied and oppressed Palestinians have no credible leadership. (And that reality won’t be changed simply by Mahmoud Abbas standing down to make way for another “President”). The idea for this article was triggered by an analysis written for Al-Shabaka, The Palestinian Policy Network, by Palestinian professor Tariq Dana. The title of his policy briefing paper was Corruption in Palestine: A Self-Enforcing System. Dana is Assistant Professor of Political Science at Hebron University. (Established in 1971 it was the first educational institution for university education in Palestine). The Overview to Dana’s policy briefing paper noted that according to a recent survey 81% of the occupied and oppressed Palestinians believe the Palestine Authority (PA) is corrupt. Dana then put some flesh on the bone of corruption with this statement. Corruption in Palestinian Authority (PA) institutions should not be perceived as merely a matter of administrative and financial wrongdoing committed by irresponsible individuals whose behaviour is driven by greed and personal interests. The scandals that Palestinians hotly debate from time to time – such as embezzlement of public funds, misappropriation of resources, and nepotism – are an outcome of longstanding corruption embedded in the underlying power structure that governs the Palestinian political system and that were rooted in the Palestine Liberation Organization (PLO) prior to the Oslo process. Dana also offered this observation. Corruption has been a major contributing factor to the Palestinian national movement’s inability to achieve its objectives and now also serves the objectives of Israel’s occupation. My way of putting it is to say that corruption helped to guarantee that the PA became, by default but effectively, a Zionist collaborator. Dana’s conclusion was this (my emphasis added). Corruption will remain endemic within the PA as long as the Palestinians themselves do not begin restructuring their national institutions according to democratic principles and standards of accountability, as part of a broader strategy to pursue self-determination and Palestinian national rights, including freedom from occupation. That call for restructuring Palestinian institutions echoed one made by Osamah Khalil, a co-founder of Al-Shabaka, in March 2013. (He is Assistant Professor of History of the U.S. in the World at Syracuse University). In a briefing paper with the headline “Who Are You?” The PLO and the Limits of Representation, his conclusion was the following (my emphasis added). If Palestinians want a representative body, national unity, an end to factional differences and to a corrupt and illegitimate leadership, they will need to build that movement themselves from scratch. They will also need to make the previous body and its leaders – regardless of their revolutionary origins and rhetoric, titles, symbolism, and emotional ties – obsolete and irrelevant. With a past marked by failure, Palestinians must imagine and work toward a very different future. Otherwise there will be little hope of finding a successful strategy or vehicle to achieve Palestinian rights. Given that liberation was the goal the Palestinian past is indeed “marked by failure” as Khalil states but complete understanding of it has to take account of two most important facts. The first is that Arafat risked everything – his credibility with his leadership colleagues and his life – to prepare the ground on the Palestinian side for peace on terms which a rational government in Israel would have accepted with relief. (Israel’s response was to invade Lebanon all the way to Beirut with the objective of liquidating the entire PLO leadership and destroying the organization’s infrastructure). If the major powers led by America had backed Arafat after he secured support for his policy of politics and unthinkable compromise in the shape of a two-state solution, peace would have been there for the taking if Israel’s leaders had wanted it. The second is that the occupied and oppressed Palestinian people have not failed. Israel’s policy was and is to make life hell for them in the hope that they will abandon their struggle and either surrender on Zionism’s terms or, preferably, pack their bags and leave to start a new life in Arab and other countries. The steadfastness of the occupied and oppressed Palestinian people (not their leaders) is a success not a failure. In my analysis the process of building a new Palestine liberation movement “from scratch” would have to begin with something I have been advocating for several years – the dissolution of the PA and handing back to Israel complete responsibility for its occupation of the West Bank. As I have noted in previous articles, that would impose significant burdens – economic, security and other – on Israel. But with complete responsibility for occupation would come full accountability. How might that benefit the Palestinians? Israel’s racism, oppression and on-going colonization of the West Bank (ethnic cleansing slowly and by stealth) would be exposed, fully naked, for the whole world to see, and that could assist the mobilization of public opinion everywhere for pressure on governments to use the leverage they have to cause (or try to cause) Israel to end its defiance of international law and denial of justice for the Palestinians. I think it can be assumed that Israel would prevent the Palestinians under its control engaging in activities to rebuild their liberation movement on democratic foundations. So how, actually, could the rebuilding be done? In my view it could only happen if the incredible, almost superhuman steadfastness of the occupied and oppressed Palestinians was supplemented by practical and co-ordinated Palestinian diaspora action. The composition of the Palestinian diaspora by countries and numbers of Palestinians resident in them is roughly the following. Jordan – 2,900,000; Israel – 1,600,000; Syria – 800,000; Chile – 500,000; Lebanon – 490,000; Saudi Arabia – 280,245; Egypt – 270,245; United States – 270,000; Honduras – 250,000; Venezuela – 245,120; United Arab Emirates – 170,000; Germany – 159,000; Mexico – 158,000; Qatar – 100,000; Kuwait – 70,000; El Salvador – 70,000; Brazil – 59,000; Iraq – 57,000; Yemen – 55,000; Canada – 50,975; Australia – 45,000; Libya – 44,000; Denmark – 32,152; United Kingdom – 30,000; Sweden – 25,500; Peru – 20,000; Columbia – 20,000; Spain – 12,000; Pakistan – 10,500; Netherlands – 9,000; Greece – 7,500; Norway – 7,000; France – 5,000; Guatemala – 3,500; Austria – 3,000; Switzerland – 2,000; Turkey – 1,000; and India – 300. In the past I have advocated that Palestinians in the diaspora should take the lead in bringing the side-lined Palestinian parliament-in-exile, formerly known as the Palestine National Council (PNC), back to life, refreshed and re-invigorated by elections to it in every country where Palestinians live. But… On reflection as I write this article I think that idea needs to be modified. I still believe there needs to be a new institution elected by Palestinians everywhere with the prime task of debating and determining Palestinianpolicy and then representing it by speaking to power with one voice, but I think it should not style or present itself as a Palestinian parliament-in-exile. In reality there’s something almost absurd about having a parliament for a state that does not exist. And if an institution elected by Palestinians everywhere did pose as a parliament-in-exile, its American representatives and those who are residents and citizens of other countries could be accused of having dual loyalty. The B-I-G question is this. 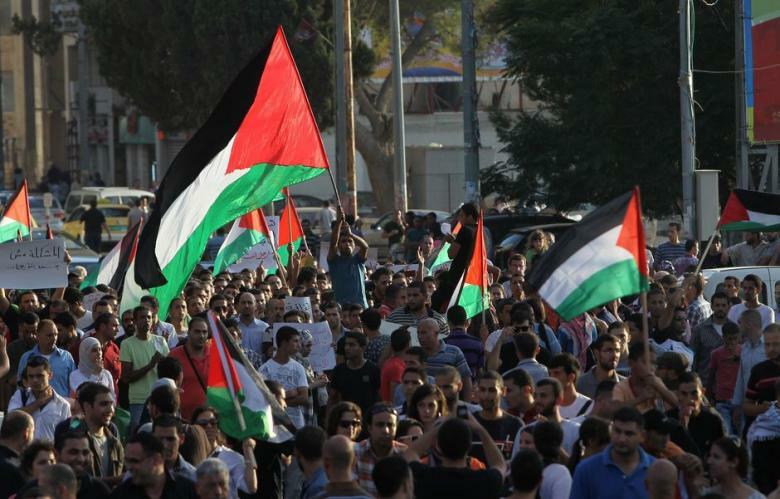 Are there enough diaspora Palestinians who care enough to become politically engaged to rebuild their national institutions on democratic principles and standards of accountability? It isn’t a question of resources because there are many very wealthy diaspora Palestinians. It’s a matter of will. If the answer is “Yes” there could be a new beginning for the Palestine liberation movement. If the answer is “No” it can’t and won’t happen. Then, when Israel’s leaders conclude that they can’t force the occupied and oppressed Palestinians to abandon their struggle for an acceptable amount of justice, the most likely endgame will be a final Zionist ethnic cleansing of Palestine. If such an obscenity is allowed to happen I think future honest historians will conclude that the Palestinian diaspora was complicit by default. I disagree that there is a case to say Palestine is a lost cause. It wasn’t all that long ago when if Israel wanted to eliminate an imaginary or potential threat, all it had to do is show a picture to its lackeys in the west and say the word ‘fetch’. Some five years ago, it showed a picture of the Syrian president and gave the magic word ‘fetch’. Apart from causing severe hardships and damage to his country, Pres Assad is still there and is going nowhere. However, the west did not give up and are still trying to quench Israel’s thirst for Arab blood as evidenced by the statement made this morning by a buffoon on the Today Programme who wants to set up camps inside Syria for displaced Syrians by force, using, of course, the bogus excuse of humanitarian intervention. Thank God that at last; a credible major power, or two, is not buying the benevolence of western interventions. Despite all the gloom and doom, I still believe we are now witnessing the start of a new chapter where the will of the people of Greater Syria will eventually prevail over their enemies. Mr. Hart, I tend to agree with you on several points - but as student of history - I do know that the Supreme Creator has "mysterious ways" to punish the so-called "super powers". In 1099, powerful European Franks (Crusaders) occupied Muslim-majority Palestine. However, by 1186, they're kicked out of Palestine by Kurd Sultan Salahuddin Ayubi. In 2006, Israeli nukes could not save the Jewish army its first major military humiliation at the hands of nearly 1500 Hizbullah fighters carrying only guns and non-guided rockets.